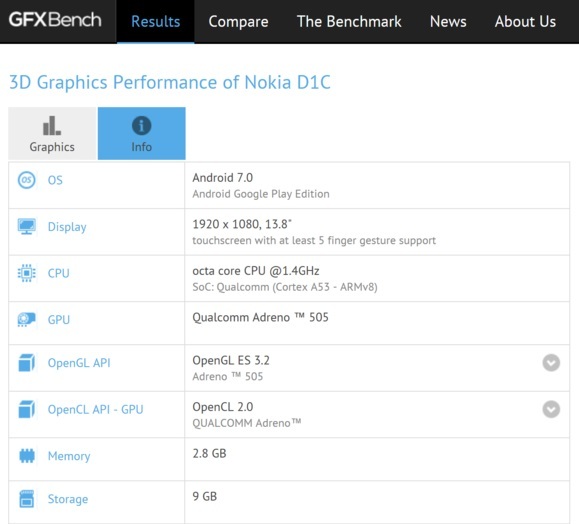 Some new information about Nokia D1C device just popped up from GFXBench, a benchmark testing site. Some recent leaks didn’t reveal the size of the screen so we couldn’t tell a lot about the type of the device. 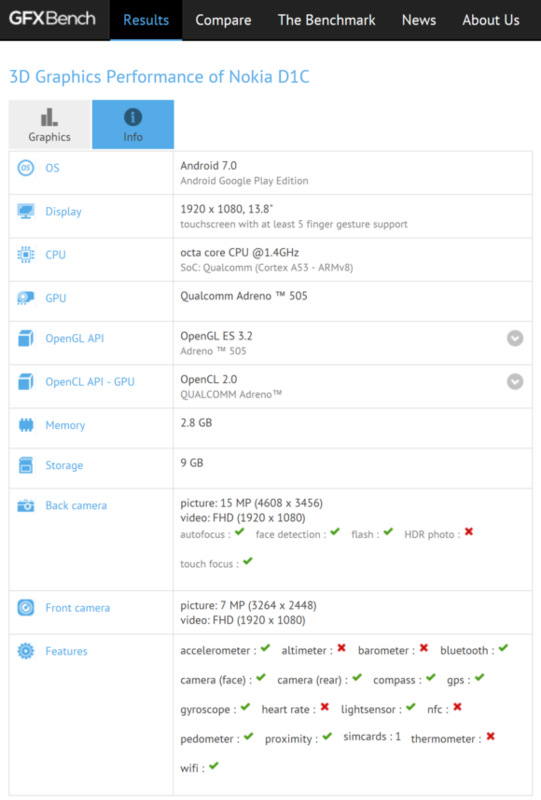 GFXBenchmark test revealed that the Nokia D1C is actually a 13.8 inch tablet device that will run the latest version of the Android OS, Nougat. Screen resolution is 1920 x 1080 pixels, which is quite good for tablet that big. 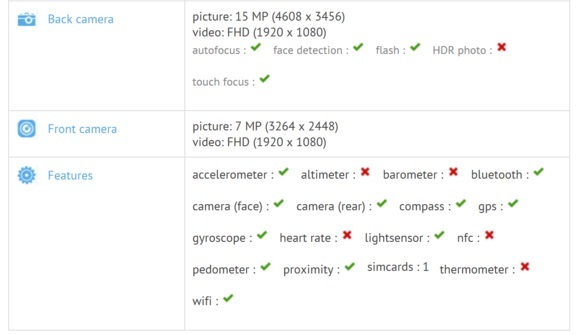 Another new information concerns the rear camera sensor which will have 15 MP (or 16MP), rather than 13 MP as previous leak suggested, and front camera will have 8MP (7MP) sensor. We already knew that HMD will, beside feature and smart phones, present tablets as well, and this one could be a success on the overcrowded tablet market since there are not so many large display tablets there. Nokia N1 was a success story in its small screen domain, so we hope this one could repeat that result once again, even though it won’t be easy. It would be good from my side to mention that this form of Nokia D1C mighty easily not be the final one, and HMD (Nokia) can change it till the very beginning of the production. Maybe they could insert NFC chip inside to easily connect with some previous Nokia gadgets like JBL PlayUP :).